The Euro Clog gives you the ability to enjoy the comforts of Pedoprene™ by just slipping on European Style Slide. Wonderful to have around the house or for short trips out. Corns and bunions are no match for the fantastically comfortable clog. 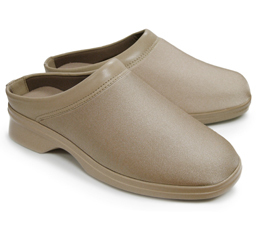 The clog is available in one width only which due to the stretchable upper can accommodate a medium through to a wide fitting. Order your regular shoe size. Can I use my orthotics with the Pedors Clog? We would recommend only using the insole that comes with the Pedors Clog as it is most likely not deep enough to fit your own orthotic. How wide is the M/W fitting? Due to the nature of Pedoprene™ is will stretch to accommodate various widths. The Pedors Clog has been designed for use with a medium or wide foot. Can I order just one shoe? Unfortunately we do not offer this service for the Pedors Clog. How do I care for my Pedors Clog? For cleaning, simply wipe down with a damp cloth and some soapy water. The Pedors Clogs are super-light. 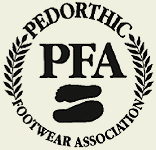 The material used in the upper is known as Pedoprene™ and is unique to the Pedors® brand. 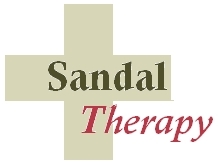 We formulated this material to be able to stretch where needed and be molded when necessary to accommodate the most demanding bunion, corn, hammertoe or other forefoot deformity to avoid discomfort or even pain.